Tehran (AFP) - Iranians reacted with a mix of sadness, resignation and defiance on Wednesday to US President Donald Trump's withdrawal from the nuclear deal, with sharp divisions among officials on how best to respond. "It makes people angry. Sanctions impact the people, not the regime. People worry it will be even more difficult to find medicine when they are sick. This was an issue in the past," said one young woman in Tehran. Asked how she felt about Trump's claim that he stood with "the long-suffering Iranian people" against their government, she said: "That makes them even more angry." For many, Trump's decision on Tuesday to pull out of the landmark nuclear deal marked the final death knell for the hope created when it was signed in 2015 that Iran might finally escape decades of isolation and US hostility. "The first feeling I got, my family and I, was that we should not stay here anymore," said Katayoon Soltani, an accountant. "Even without sanctions, our economy was terrible. With this decision, I don't know what will happen. All my friends want to leave Iran," she said. Still hoping to salvage something from the deal, President Hassan Rouhani has instructed his foreign minister Mohammad Javad Zarif to hold negotiations with the other five parties -- Britain, France, Germany, China and Russia. They have all signalled their consternation at Trump's withdrawal, which includes an order for foreign businesses to wind down their Iranian operations within six months or face US penalties. But while European leaders have defiantly said they will work to protect their trade ties, Iran's leaders are sceptical. 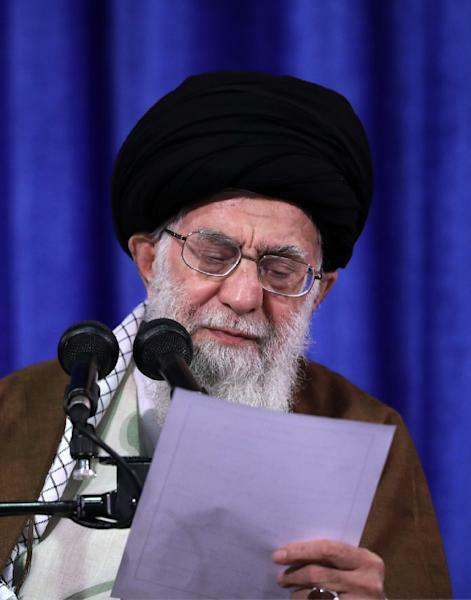 "You want to continue the nuclear deal with the three European countries; I don't have confidence in these three countries," said supreme leader Ayatollah Ali Khamenei in a televised speech, addressing the Iranian government. "If you don't succeed in obtaining a definitive guarantee -- and I really doubt that you can -- at that moment, we cannot continue like this," he said. Parliament speaker Ali Larijani said Europe had caved to US pressure before, having shut up shop under previous international sanctions in 2012-15. "We can't put much confidence in their statements about preserving the agreement, but it's worth testing for a few weeks so that it's clear to the world that Iran has tried all the avenues to a peaceful political resolution," Larijani told parliament. For many conservatives in Iran, Trump's decision was a vindication. "I welcome the withdrawal of the United States from the nuclear deal. It was clear from the start that the United States is not trustworthy," said General Mohammad Ali Jafari, head of the elite Revolutionary Guards, in several media. He said the nuclear question was just a pretext to curb Iran's defensive capabilities and the "power and influence of the Islamic revolution in the region." 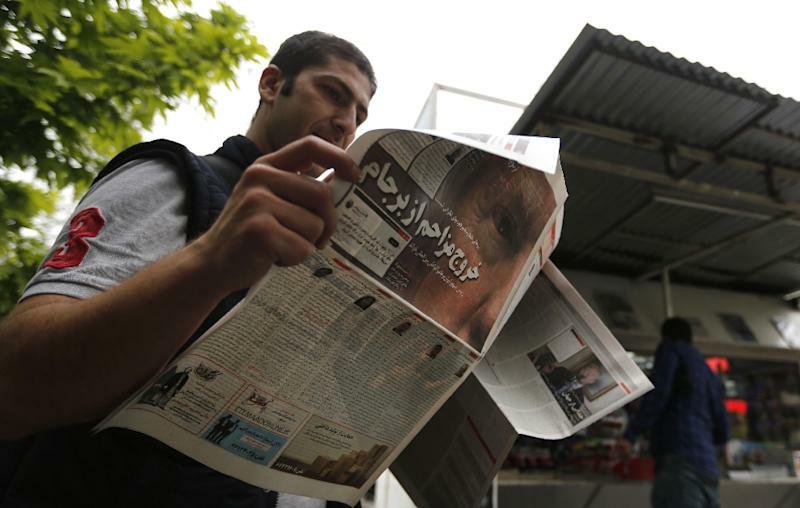 The divisions were clear in the Iranian press on Wednesday morning. Reformist daily Etemad welcomed a "nuclear deal without the trouble-maker", while the ultra-hardline Kayhan opted for: "Trump has torn up the nuclear deal, it is time for us to burn it". 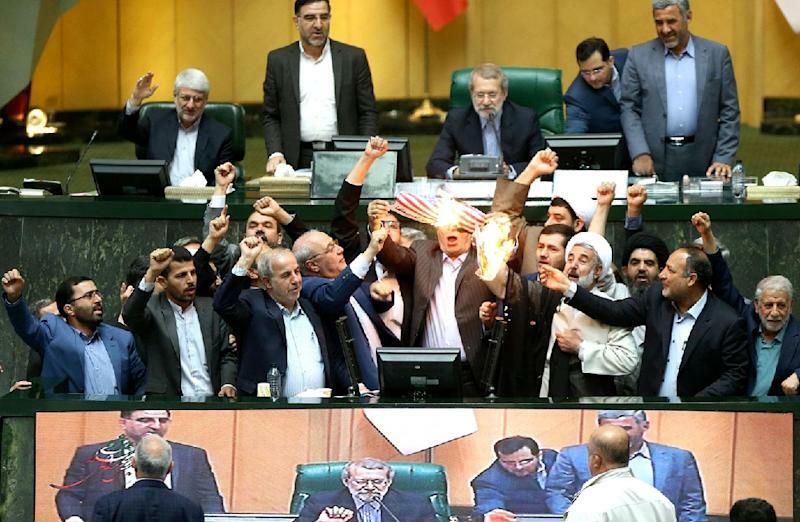 Some hardline lawmakers did just that on the floor of the parliament chamber, burning a copy of the agreement and a paper American flag. Outside the old US embassy -- now a museum -- around 200-300 conservative students held a protest, also burning the flag and chanting "Death to America". Seeking to show that he was not taking Trump's announcement lying down, Rouhani said he had ordered Iran's Atomic Energy Organisation to prepare to resume uranium enrichment "without limit". "We will wait several weeks before applying this decision. We will speak with our friends and allies, the other members of the nuclear agreement," he said in his televised speech immediately after Trump's announcement. Larijani warned that Trump only understood the "language of force" and that, if the negotiations with the other parties failed, Iran would have to use its nuclear programme to force the world "to see reason". On the streets, some were proudly defiant. "I was asleep when Trump made his speech. It's not important to us, we don't care. We are Iranian and we have our way and we don't care about Trump's actions," said bus driver Ali Bigdeli. One businessman in Iran said the renewed sanctions would certainly add to Iran's economic woes, but could never be as bad as the previous period under Barack Obama. "The Iranian people are tired from all the pressure but the new sanctions cannot be worse than last time, because now the Europeans are not on America's side and neither are the Asians," said Mohammad Reza Behzadian, former head of Tehran's chamber of commerce.